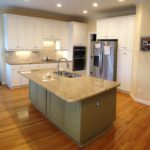 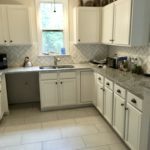 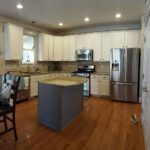 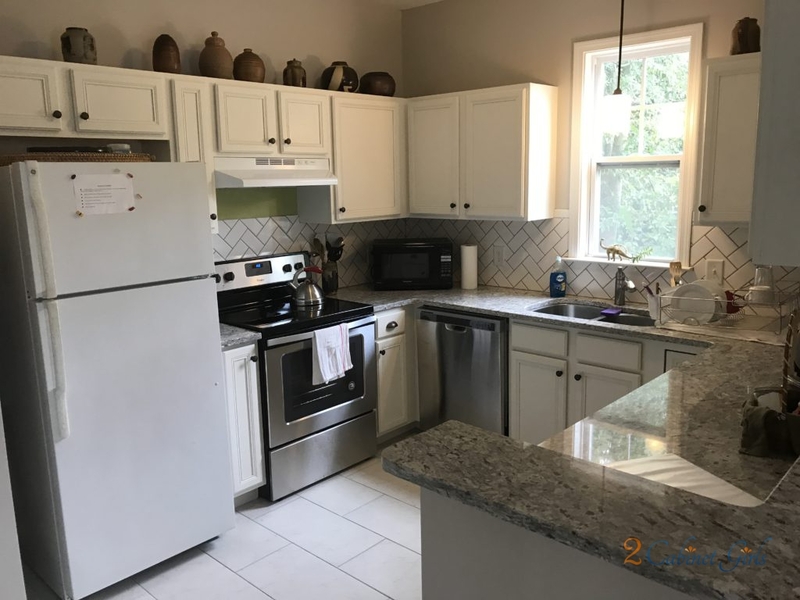 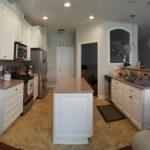 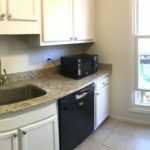 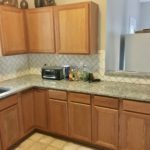 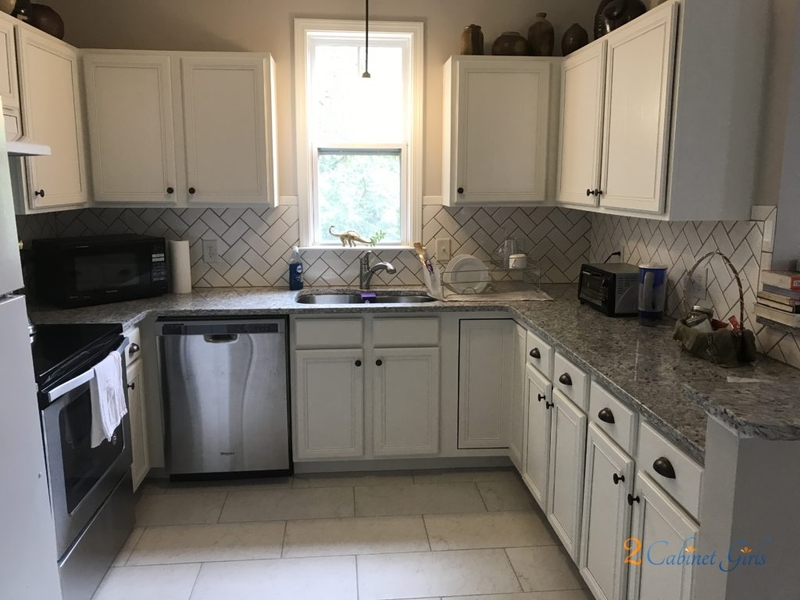 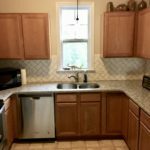 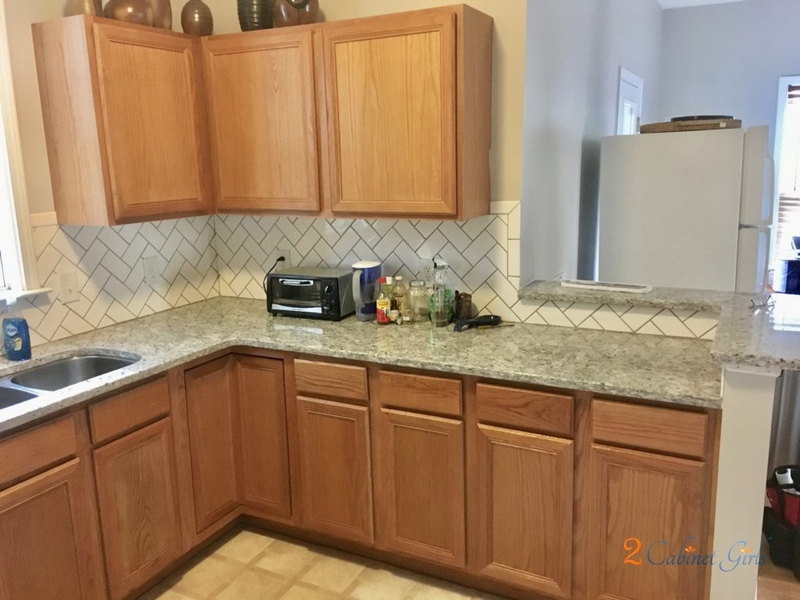 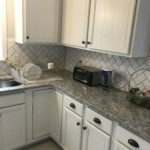 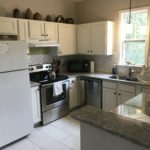 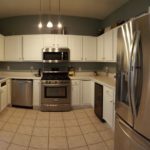 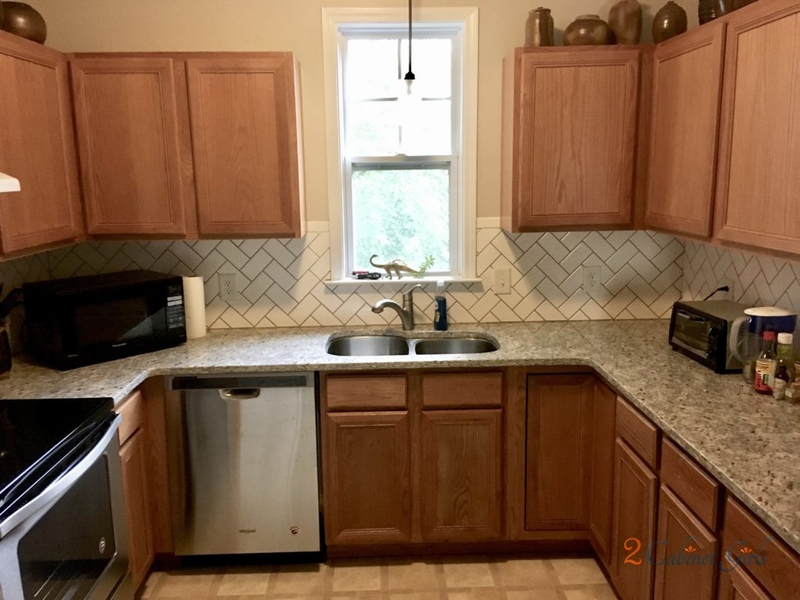 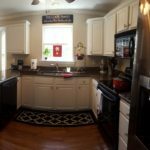 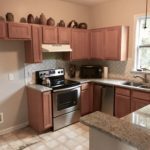 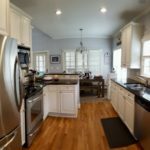 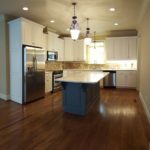 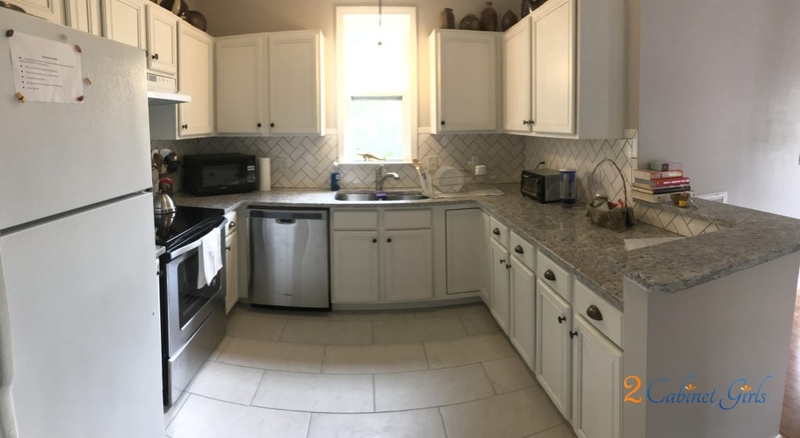 The kitchen in this Durham, NC AirBn’B was ready for a change. 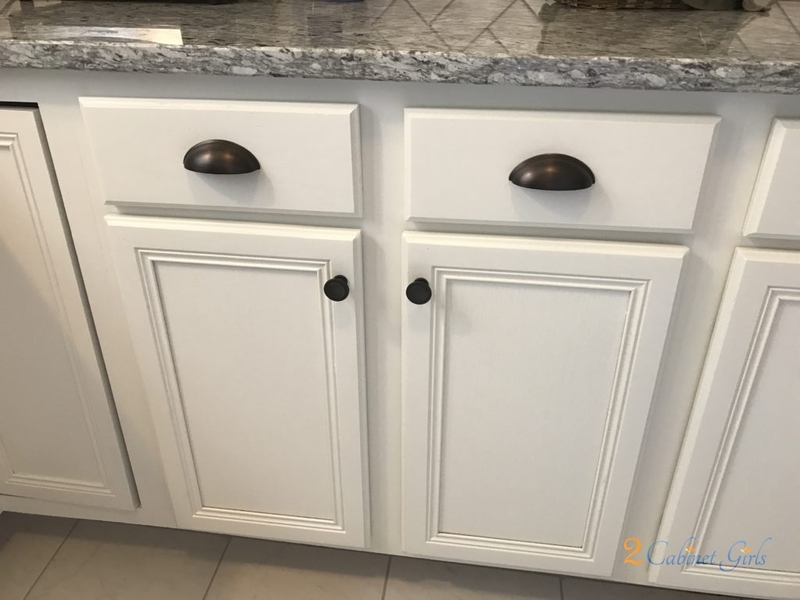 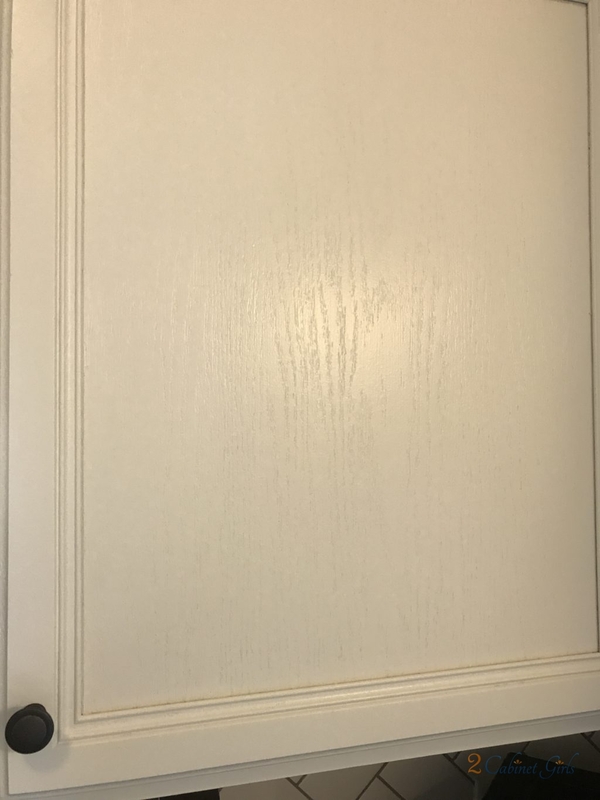 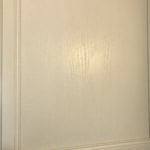 The tired, oak cabinets had seen better days. 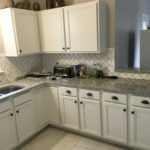 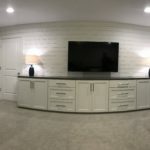 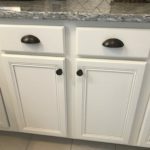 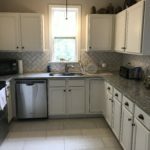 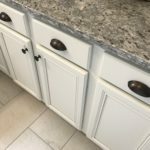 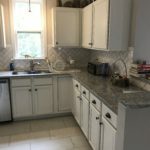 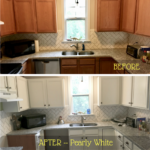 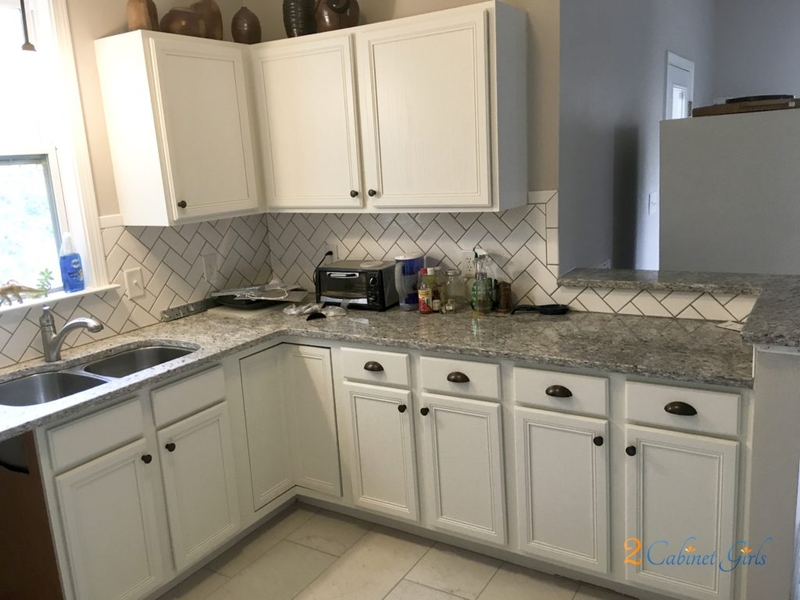 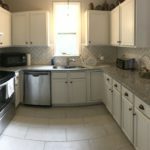 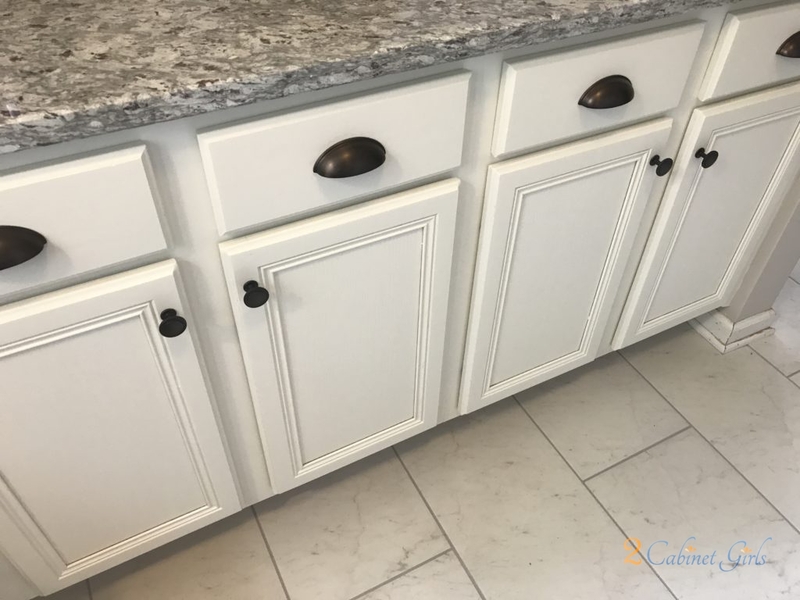 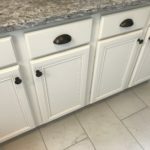 We gave them a fresh new look with Sherwin Williams Pearly White, a bright white with a hint of gray undertones. 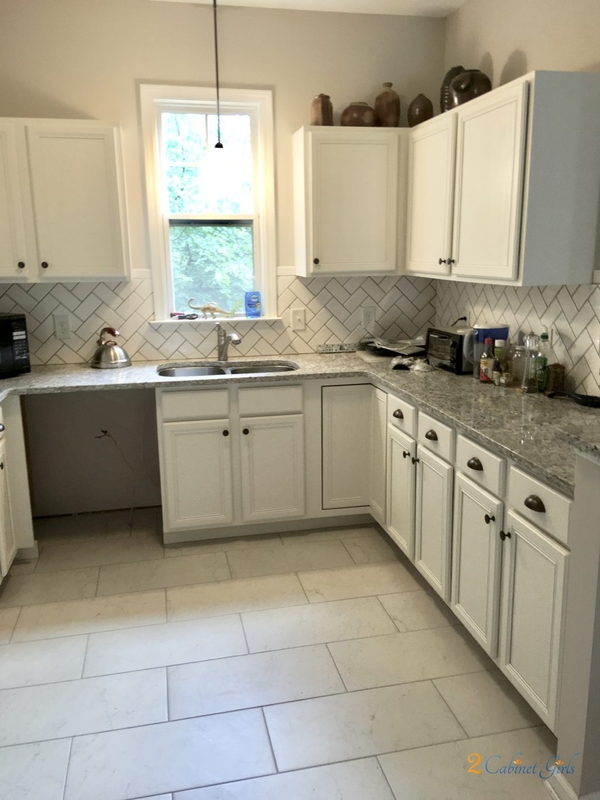 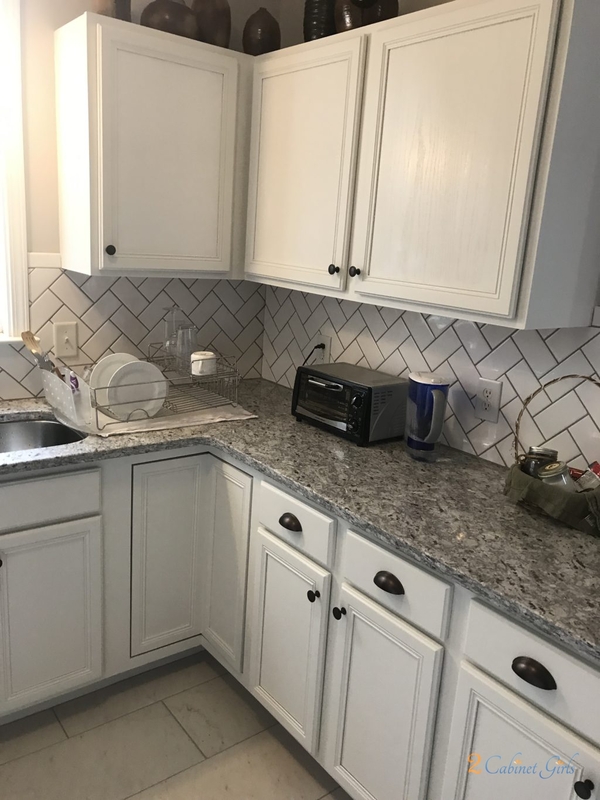 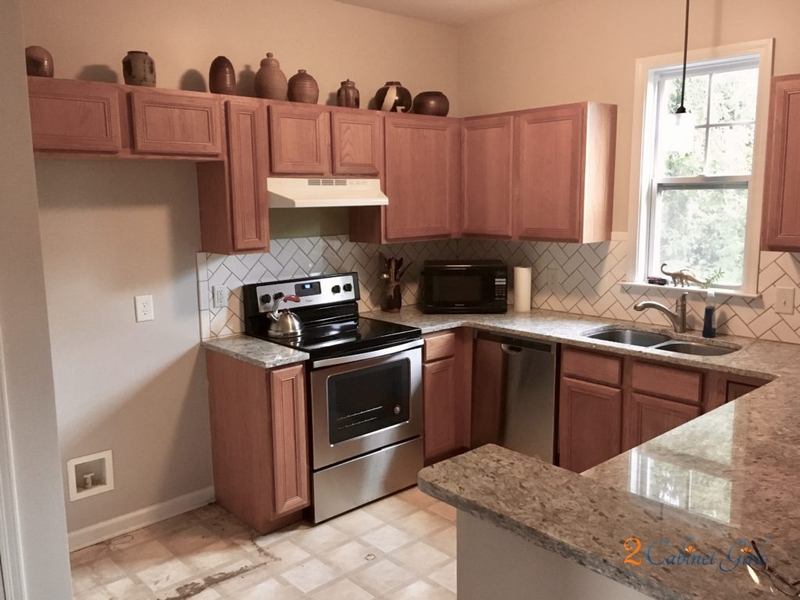 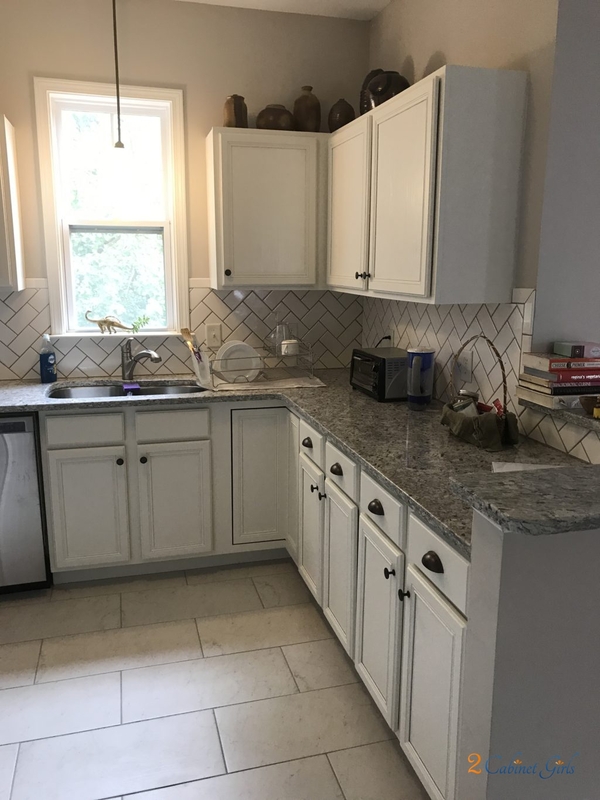 That slight bit of gray really helped tie it in with the new backsplash and floor tiles. 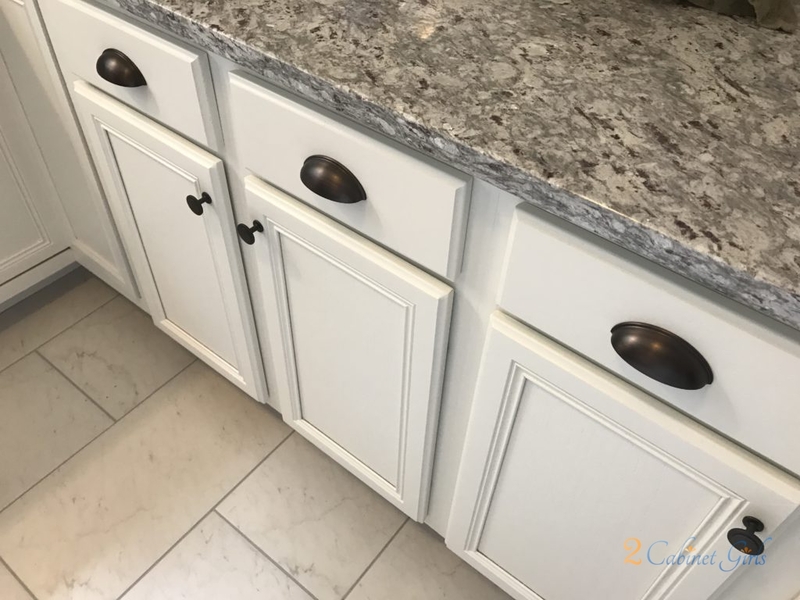 The new handles and pulls gave it that extra splash of pizzaz too!